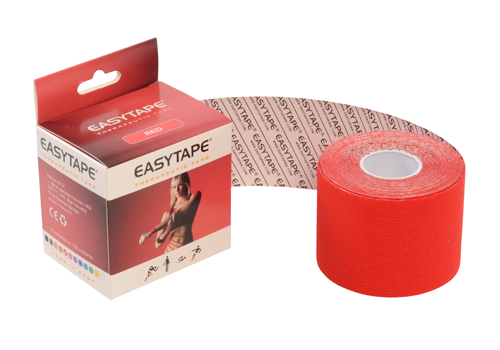 Easytape® is elastic and gets attached through extension of its substratum and contracts without effort after being applied. 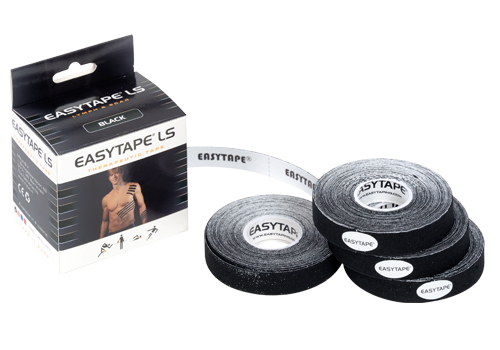 This "shrinking" is the central effect of all EasyTape®-applications and lifts skin layers easily, which results in pressure reduction and pain alleviation. This contraction stimulates mechanical sensors in different skin- and fascial layers, in addition it produces a positive effect on muscular activity. 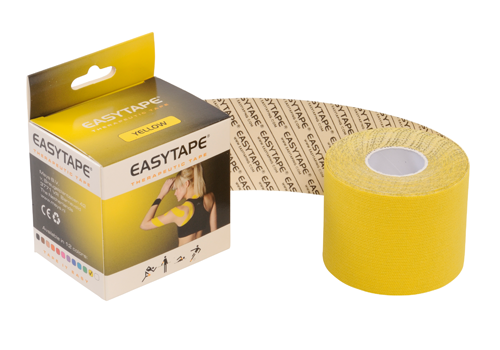 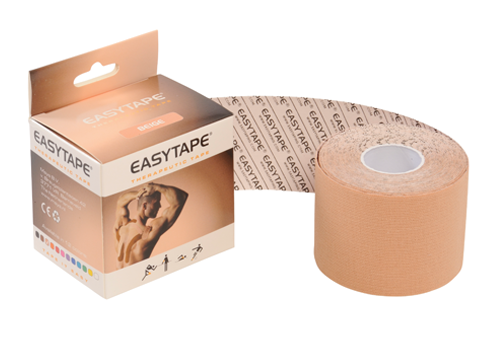 As a result the application of EasyTape® provides quick recovery and healing. 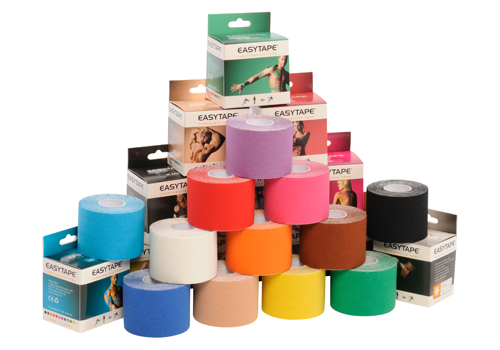 The traditional method of sport-taping is primarily oriented towards partial or maximal fixation. 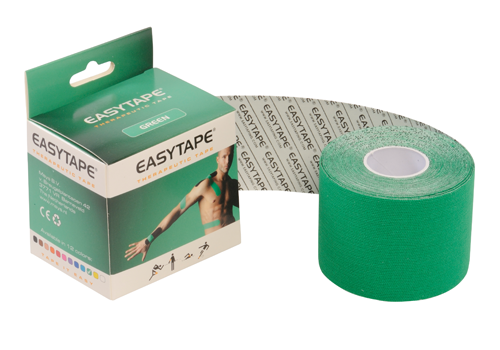 It hinders your joints from performing their natural activity: TO MOVE! 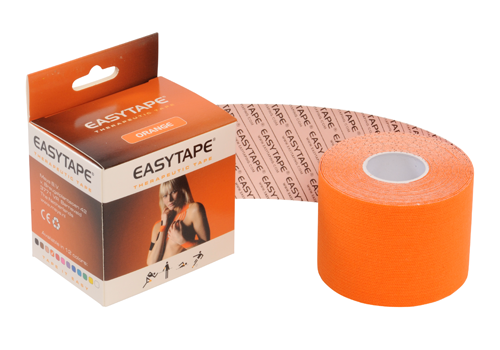 Since standard sport-tapes are not elastic, they create additional pressure, moreover they make blood-vessels slowdown in their functioning. 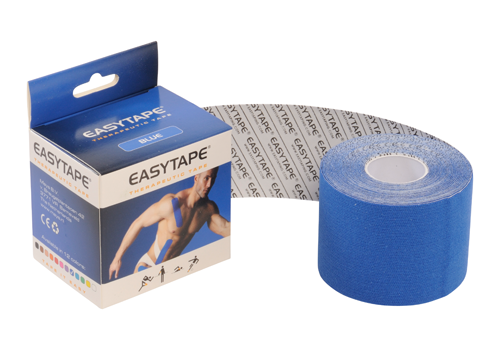 Whereas EasyTape® is specially made for relieving the injured body part, activating blood circulation and stimulating the correct movement. 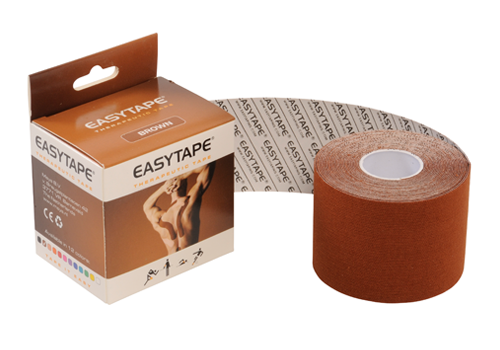 Easytape® Lymph & Scar tape improves the balance between the production and discharge of lymph fluid. 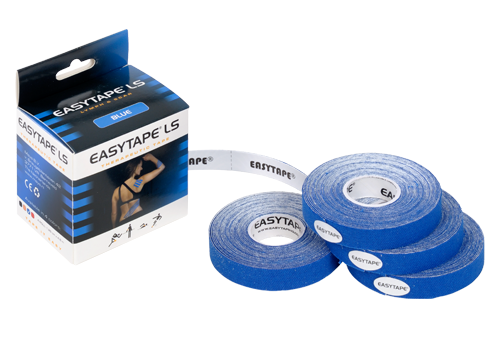 This adhesive tape provides a safe, effective and pain-free manual lymphatic drainage, edema therapy, injury treatment, and scar treatment. 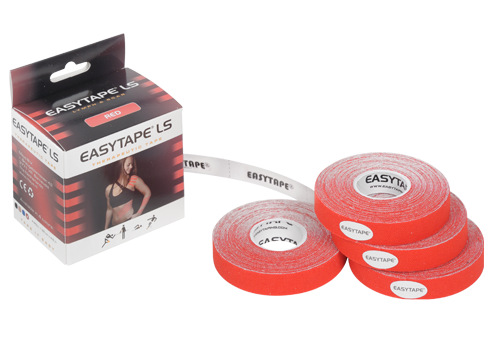 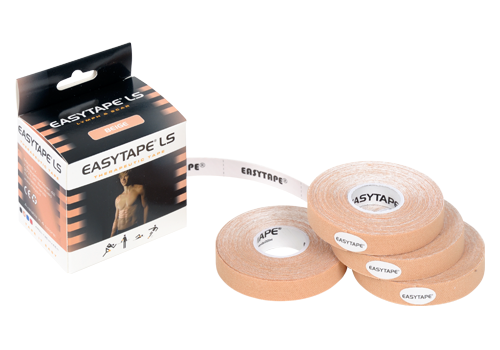 Each box of Easytape® Lymph & Scar tape contains 4 rolls (format per roll: 1,25 cm x 4,5 meters).